Home Better Health	Does royal jelly improve fertility? Yes! Royal jelly is a nutrient-dense, milky substance produced by nurse work bees for the consumption of the queen bees. Studies show that royalactin found in royal jelly causes the queen bees to grow larger and more sexually viable than the rest of the colony. This superfood is also used to provide nutrients to honey bee larvae for optimal health. The presence of royalactin led researchers to conclude the positive effect of royal jelly on fertility. Royal jelly is used to improve fertility. Read for yourself to see why it might work for you. Royal jelly has 29 amino acids, 10-HDA, vitamins, lipids, and proteins. This superfood also has trace minerals, antibacterial and antibiotic components, enzymes, pyridoxine, pantothenic acid, trace amounts of vitamin C and iron, to name a few. Because of its high nutritional content, it is no wonder that many people use royal jelly for fertility. Folic Acid – is an essential nutrient that is vital in protecting against the neural tube defect Spina Bifida. Arginine – is an amino acid that helps enhance the production of the testosterone hormone and increase the fertility rate of men. Royalactin – a protein that causes increased body size and ovary development of bees and fruit flies. It is believed to help aid fertility. There are many studies that have been conducted that led researchers to believe that royal jelly can help aid fertility. A research on the protective effect of royal jelly on testosterone levels, sperm parameters and malondialdehyde production in lab mice shows that the supplement improve male fertility, increase sperm count and motility, and DNA integrity. According to Axe, royal jelly can help reduce menopausal symptoms. 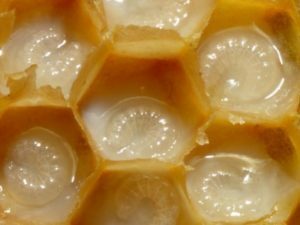 A study conducted in Japan shows the estrogen-mimicking capabilities of royal jelly. The research also shows an increase in the size of the uterine cells of lab rats. 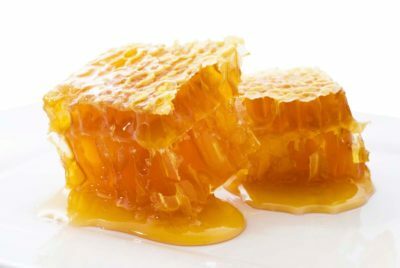 The results of a study conducted to see the effect of royal jelly on BPA reveal that the superfood inhibits the stimulated growth of BPA on human breast cancer MCF-7 cells. BPA has been linked to breast cancer and poor egg health. I use royal jelly for its numerous benefits and not just for fertility. For more reasons to try this superfood, read the Top 5 Health Benefits of Royal Jelly. Royal jelly supplements can be taken in capsule form or in a gelatinous state. 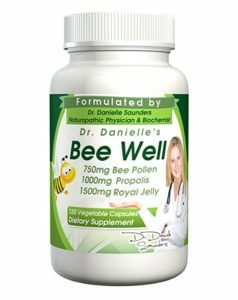 There are readily available royal jelly supplements that you can purchase online. It is important to carefully follow the instructions on the label. For general health, I suggest taking one to two tablespoons of royal jelly twice a day. You can purchase royal jelly mixed with honey or use pure royal jelly and add it to your cold drink. I notice more energy and stamina whenever I take royal jelly at breakfast. I also sleep better at night. As a precautionary measure, people who are allergic to bees and honey should not take royal jelly supplements. And you should not feed royal jelly to babies below 1 year old. For a list of recommended royal jelly brands, check out the Best 5 Royal Jelly Supplements. Do you have anything to share about royal jelly? Please leave a comment below to share your knowledge and help our readers!